Everyone is still in Chinese New Year mood now into its third day. 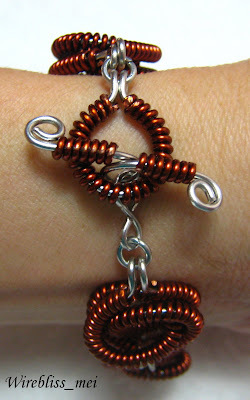 But i can't wait to do something about the copper wire i collected the other day - see my Feb 11 2007 post. 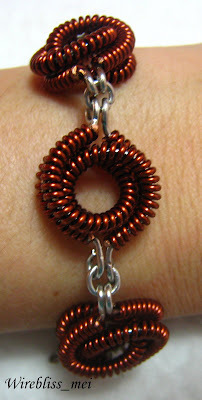 Finally I got this bracelet done this afternoon and i am quite happy with the outcome. 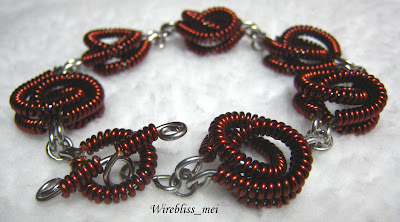 This bracelet use 19g stainless steel wire as the base wire. 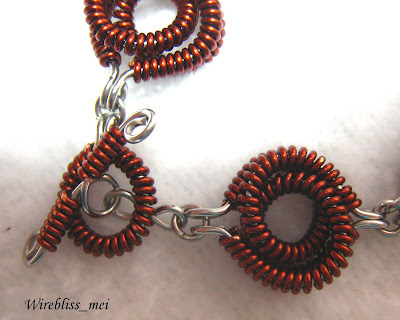 It took me about 4 hours to get it done and at the end of it i also got sore thumbs, fingers and palm due to the coiling. But......the end result is worth the pain.